LESPARODONTISTES have been serving the Montreal and Quartier Dix30 area for over 25 years. Our team of highly qualified experts specializes in the prevention, diagnosis, and treatment of gum related issues. We perform a variety of aesthetic and surgical procedures to treat deteriorating gums and enhance your smile. We pride ourselves in providing superior care and service, so you can rest assured you will leave with a smile on your face. Our commitment to excellence guarantees a smooth experience and ensures your periodontal health is secured. Periodontists are distinct from regular dentists due to their extensive educational background. They have had an additional three years of post-graduate training focusing on Periodontology, making them the leading experts in identifying and treating gum disease. 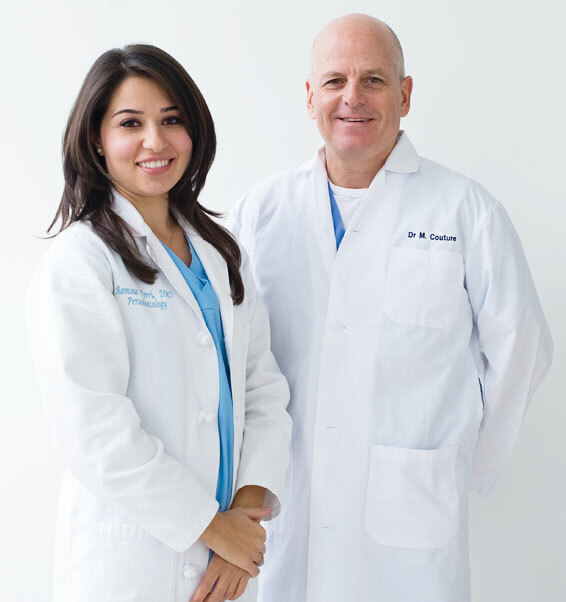 Our skilled periodontists, Dr. Michel M. Couture and Dr. Romina Perri, are both dental specialists with intensive training in dentistry and post-graduate specialization in periodontology. Their educational backgrounds and decades of hands-on experience have made them highly qualified experts in treating gum-related problems and performing related surgical procedures. Our dynamic and effective team of professionals has made LESPARODONTISTES the leading periodontists in the Montreal and Quartier Dix30 area. Our entire team is devoted to putting patient comfort and safety above all else. We will work diligently to offer personalized care to ensure your oral health. In addition, we will work in collaboration with your dentist and other dental specialists to ensure a seamless and efficient experience. This will ensure your gum health is safeguarded to the best of our ability. Our excellent patient experience is in part due to our advanced treatments and surgical procedures as well as our modern offices. We are continually upgrading our technology and techniques to ensure it is always up-to-date. 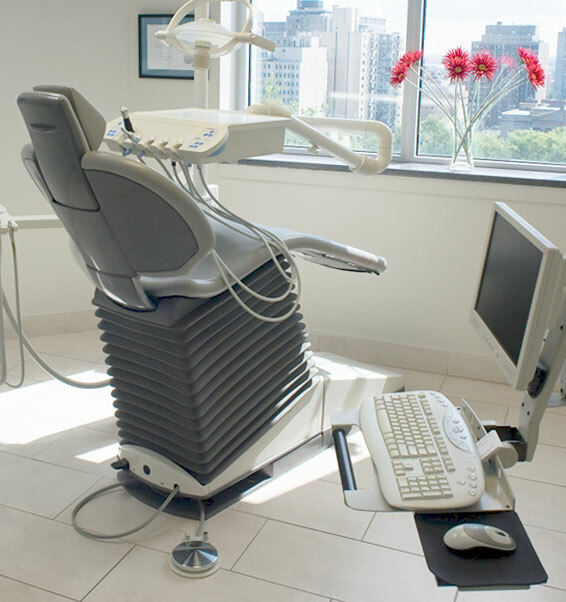 We know the benefits of using state-of-the-art equipment and specialized periodontist techniques. That is why we pride ourselves in investing in the most recent technology to enhance patient experience. 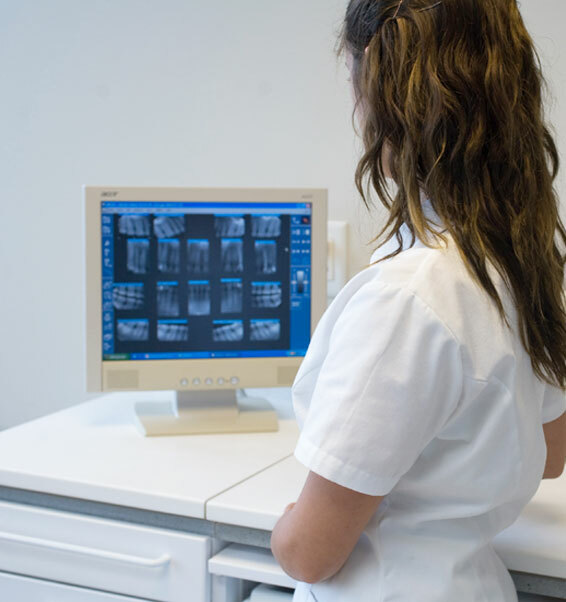 We use microscopes, digital x-rays, advanced computer technology, and more to ensure you are getting the best care possible. In specific, we specialize in dental implants. These are titanium screw-like devices that can replace one or more missing teeth, to help give you your best smile yet. They are a permanent solution that provides security to the patient. Our innovative treatments and equipment ensure dental implants go as smooth as possible, and will help with the overall recovery. Aside from merely diagnosing and then treating your gum-related problems, we also strive to ensure you understand the cause of the issue and know how to prevent it in the future. This safeguards your health way beyond the periodontist’s chair. The best way to ensure your gum health is to prevent gum disease before it occurs. That is why we take the time to educate all of our patients about how and why gum problems, such as gum disease occur, and what they can do to prevent it in the future. Likewise, we also take the time to explain our treatments and their effectiveness, so you know exactly what is going on with your periodontal health. Our skilled staff is always on hand to answer your questions and will make sure you fully understand our procedures. It is part of our commitment to quality service and excellent patient experience. Gum disease will only get worse if you do not seek immediate treatment for it. If you think you may be suffering from gum disease or another periodontal issue, it is best to book an appointment with one of our periodontists today. Signs of gum disease can include bleeding when brushing or flossing, inflammation of the gums, and tooth loss. Less noticeable signs may also be a bad taste in your mouth or bad breath, abscesses, and loose teeth. It can manifest from mild to severe conditions. Common gum disease conditions include gingivitis, which is minor inflammation of the gum, and advanced periodontitis, where there are large pockets between the teeth, often resulting in bone loss and shifting teeth. The more severe the condition gets, the more invasive and intensive the eventual treatment will have to be. The price of the treatment and length of recovery time also tend to increase the worse the condition is. Not to mention, the more disastrous the condition, the more discomfort your will experience. If the gum disease becomes too severe, you may notice it impacting your daily life, which is more than a sign it needs to be dealt with. The longer you wait to address these issues, the more devastating your gum health may be. That is why it is best to consult one of our periodontists who will diagnose your problem and decide on the best course of treatments. You don’t need a dentist referral to book an appointment with LESPARODONTISTES. You can fill out a quick form online, and we will get in touch with you. Alternatively, you can call or visit us at one of our offices to schedule an appointment. With two convenient locations, one in Montreal and one in Quartier Dix30, our services are accessible and convenient. We are also open early hours to accommodate patients who may be working or in school. Taking care of your overall health includes ensuring that your gum and teeth are in excellent condition. You may be suffering from moderate to severe gum disease and not even know it. The only way to confirm is to pay a visit to a periodontist. When it comes to your oral health, it is better to be safe than sorry, so do not hesitate to book that appointment. Make sure you’re putting your best smile forward, always. Give us a call today to learn more about what a periodontist can do for you and your gum’s health. Our patients dental health and well-being are of primordial importance to the team at LESPARODONTISTES Couture & partenaires and LESPARODONTISTES Couture•Perri. We strive to create a unique patient experience by using the most advanced surgical techniques and technology in state-of-the-art premises. We take great care in educating our patients on our methods and the best practice for good dental hygiene.